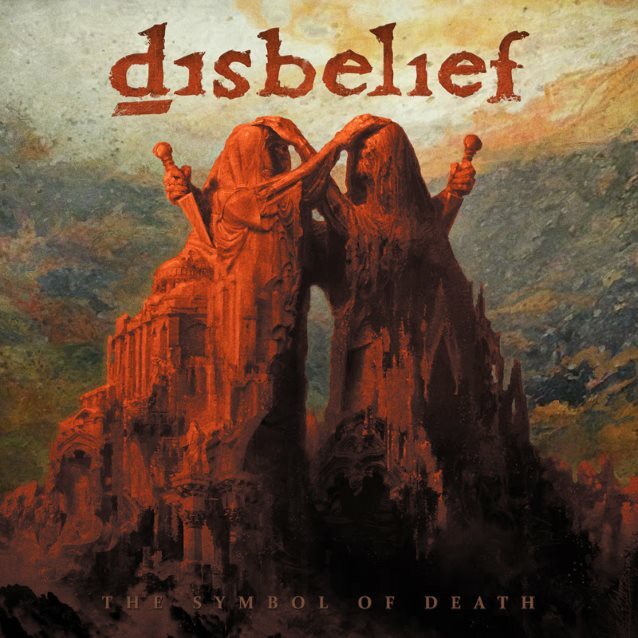 German death metallers DISBELIEF will release a brand new album, "The Symbol Of Death", on April 21 via Listenable Records. According to a press release, the follow-up to 2010's "Heal" is "a monster. First, band founder and vocalist Karsten 'Jagger' Jäger's guttural signature has never sounded so intense and relentless, and the precise and bloodthirsty double-bass drums back up a colossal wall of thickly produced, face-melting guitars. Still, the band adds in a melodic flavor that never sounds obvious." Jäger comments on the studio experience: "We recorded and mixed 'The Symbol Of Death' at Rombado Recordings in Essen, Germany. It was the first time for us in this studio, and the band is very satisfied with the result. The combination of the brutal side of DISBELIEF and the melodic, apocalyptic parts of the band are displayed here better than ever before. 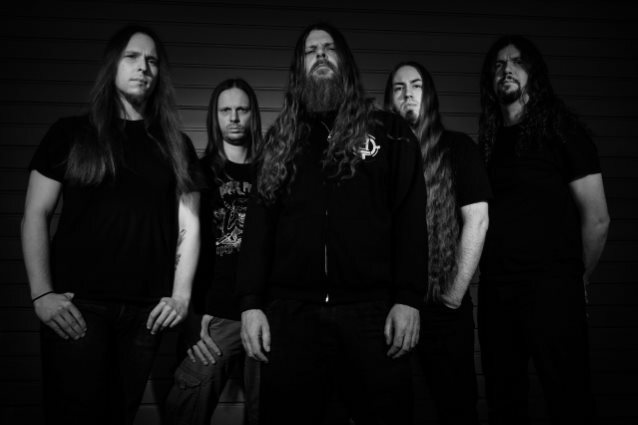 Many excellent riffs, some fast stuff, some mid-tempo songs, it's a great trip going through those twelve strong, raw and aggressive death metal songs." Asked about the lyrical themes explored on "The Symbol Of Death", Jäger says: "'Rest In Peace' is personal and deals with my father dying of cancer and his fight against this crawling sickness that destroyed him slowly. The song 'One By One' is dedicated to [Austrian Nazi hunter and writer] Simon Wiesenthal and is looking into the minds of all the German people who survived the Nazi regime, knowing what was going on with the Jews, betraying and denying their best friends to save their own lives. Everyone who survived such experience had to live with that shame until the rest of their lives; that's justice. 'To Defy Control' is an anti-addiction song about the daily manipulations people have to go through." The artwork for "The Symbol Of Death" was created by renowned artist Eliran Kantor, who has previously worked with TESTAMENT, HATEBREED, SOULFLY and KATAKLYSM, among others. Jäger explains the concept: "The cover artwork shows two statues. They're blessing each other and betraying and stabbing each other in the back with the other hand at the same time, a hypocritical blessing."